It’s Friday! Hope everyone’s having a great day so far! It’s been a while since I’ve linked up with Eat Pray Run DC, Mar on the Run, and You Signed Up for What?! for their Friday Five Linkup. It’s a free Friday so I’ve decided to blog about five things I’m loving. 2. 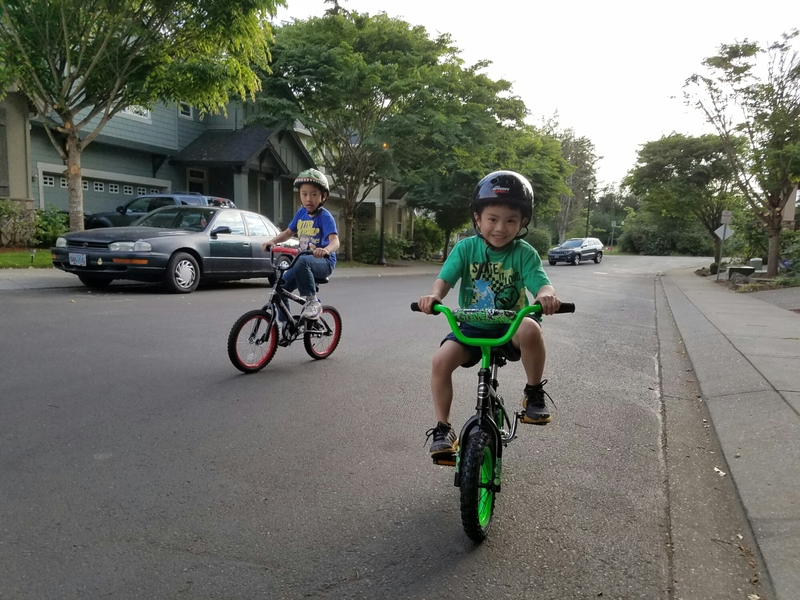 My kiddos can ride bikes without training wheels. My 8 yrs old wasn’t really interested until 5 yr old showed him he could do it. It didn’t take long for my 5 yr old. Once 8 yr old saw him, it didn’t take long for him to get it too. Today was the second day without training wheels and they’re both doing awesome! I’m proud they’re both enjoying biking now! I remember biking all the time when I was a kid. 3. My Garmin Forerunner 235. I’ve decided to get this watch again since it’s on sale right now. I saved $80 at REI. I returned the 630 because the battery drained way too fast for me. I’m happy so far with the 235. The heart rate on the wrist is nice to have but can still be a little unreliable. 4. 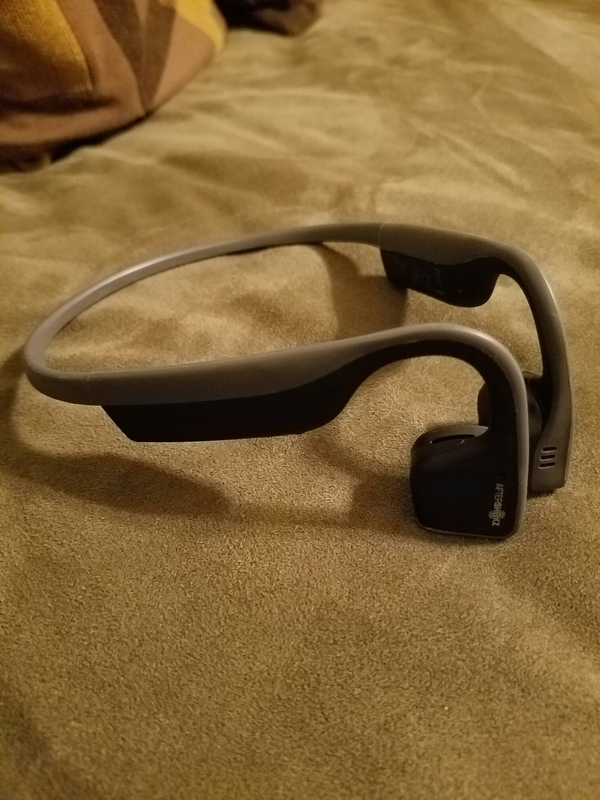 I’m really loving the Aftershokz Trekz Titanium headphones. My hubby has been wearing these for a while and I kind of stole them from him lol. I like how they are light and there is no chance they will pop out of your ears like earbuds when running. These are different from other headphones because they don’t go in your ear. It uses bone conduction technology to deliver the music. 5. 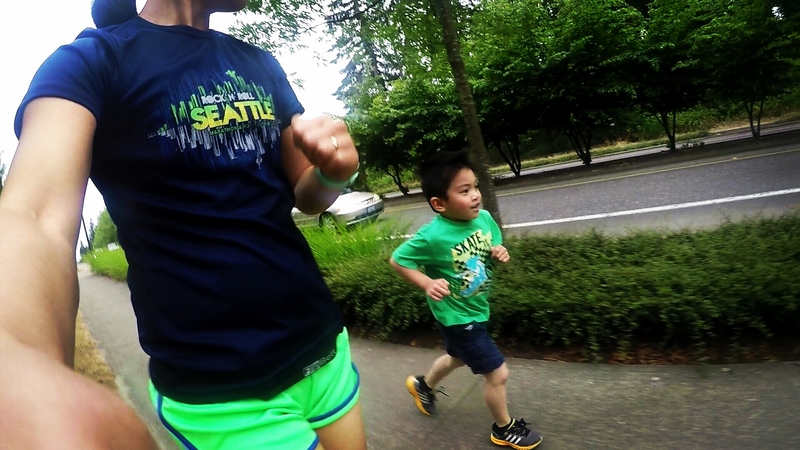 Love that my 5 yr old wanted to go running. I was all set, ready to run on the treadmill and then he said he wanted to run with me. I couldn’t say no to that. 🙂 I think it’s been about two months since he ran with me last. That Garmin looks sweet!! I bought the 220 with the heart rate monitor but have yet to use it. I would love to have it on my wrist. I may have to get me one of these! 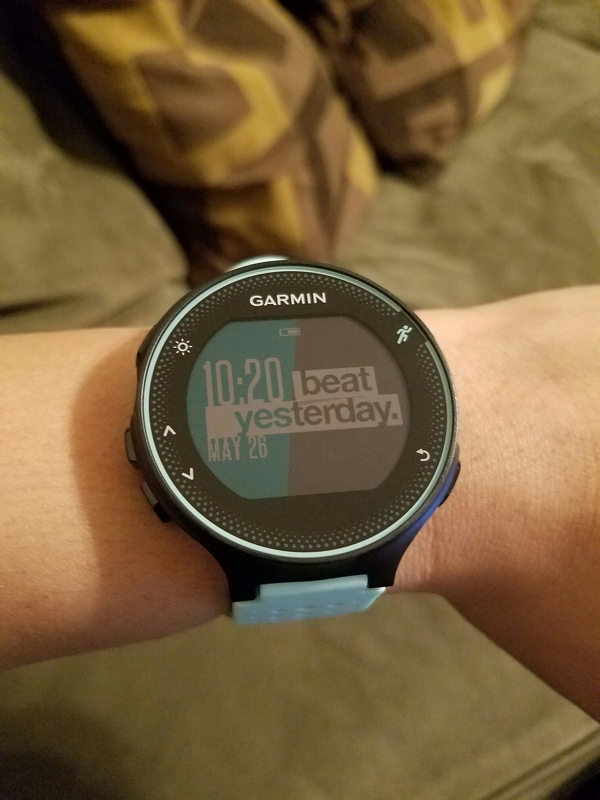 Garmin’s are great watches! It is nice to see what my heart rate is through out the day. Great that the boys are now biking and so cool that Josh wanted to run again! 🙂 Candace Payne’s video is too funny. I’m loving that it is almost the long weekend and we’ll be hiking! Enjoy your weekend! I was excited that the boys finally got on two wheels! Have fun hiking! The day both my kids learned how to ride a two wheeler was the best! so proud! Have a great weekend! It was awesome! Have a great weekend too Smitha! I really want to know how everyone is liking the quality of the sound with those headphones. I really really love music, so sound is a big deal to me. The sound is pretty good. I just had to get used to them not being in my ears. I do hear more outside noise. Those headphones look really neat! I remember riding my bike around my neighborhood until it was dark – such a great childhood memory! Biking is a great childhood memory of mine too! I remember biking a lot with my sis and brothers. Candace Payne’s Chewbacca video is great one. It’s make me always LoL. Your kiddos so cute…!